A great man closed his eyes this morning in the presence of his earthly family and opened them again in the presence of his heavenly family. 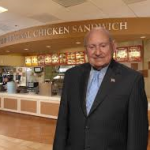 When Truett Cathy passed away this morning, the world was greatly impacted because Mr. Cathy was a man who not only showed the world how to live, but he also showed us how to die. I suppose many people in the Atlanta area could tell a Truett Cathy story, but mine involves a young teenager named David who needed a place to live. He lived in my home for a while, but because I have six children (and at the time my brother, his wife and five children lived with us), we really did not have room for him. I called Mr. Cathy’s assistant, and she told me to bring my young friend to their corporate office. We were ushered into Mr. Cathy’s office, and he treated us as if we were the most important appointment on his agenda. Never mind that he was late leaving to catch a plane for Europe where he had an important meeting, Mr. Cathy talked to David about choices in life. He offered my young friend a place to live and a very bright future, but he told David that he would have responsibilities and had to follow the rules. David agreed, and Mr. Cathy had his assistant take us up to the top floor of the office building. The top floor looked like a huge department store filled with name brand clothes and shoes of every size (for young people). David was allowed to choose clothes and shoes, and we were both overwhelmed by this man’s generosity. The next day, David went to live at one of Mr. Cathy’s homes for children. 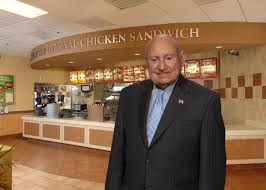 Truett Cathy is an example of a man who lived from the inside out. Many years earlier, he had surrendered his life to Jesus Christ allowing Jesus to sit as King of his heart, and this decision impacted every decision he made for the rest of his life. This decision also determined his eternal destiny. While we sometimes wonder why Christians do not live out their faith, that was not the case with Truett Cathy, and the world is a better place because Mr. Cathy let his light shine for Jesus Christ. He is a model for the rest of us. Romans 1:17 says “The just will live by faith.” In other words, our lives should be different because we are people of faith. The world is desperate to see authentic Christianity, and Jesus has commissioned us to be like salt and light in the world. May the life and testimony of Truett Cathy not be forgotten as we press on to the day when we too will cross over to the other side. The persecution of Christians is not really new, but it seems to be growing. In my new book that is coming out this fall, I quote Italian Sociologist Massimo Introvigne where he said, “Christians are the most persecuted group in the world, with one Christian being killed out of religious discrimination every five minutes.” Even though in the past the persecution of Christians seemed to always happen in foreign lands, we are beginning to see hints of it in our own country. It has started as law suits or other legal threats, but the Bible says we can all expect persecution before the return of Christ. I believe Christians will be raptured before the tribulation, and people who are saved during the tribulation period will be severely persecuted. However, persecution will escalate to martyrdom during the tribulation period, but I am confident it will become more severe before the rapture. We must pray for our brothers and sisters in other lands, and we must prepare to stand firm as our faith is challenged. We must also prepare our children to stand firm. It is easier to face persecution when we know that we are standing on the truth. I sat watching the news last night feeling as if Bible prophecy was being lived out before my eyes. Actually, I predicted nearly three years ago that the world would become more and more anti-Semitic, but I suppose I am still shocked by how much of the world seems to be opposing Israel (see my blog on November 10, 2011 – “Iran”). The Bible predicts in Ezekiel 38 that when Russia and the five-nation coalition attacks Israel, Israel will not have an ally really stand with them. They will stand alone. 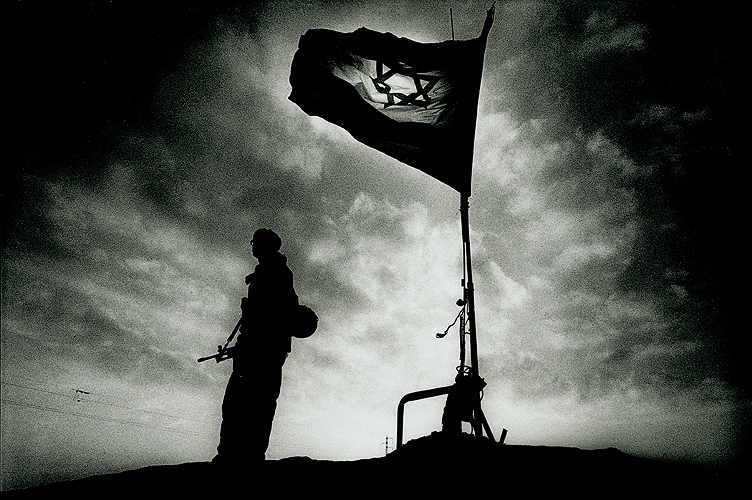 If you read through Ezekiel 38-39, you will not find any other nation standing with Israel. The significance of the world opinion right now, which is anti-Israeli, goes right along with the prophecy. I am amazed that anyone would criticize Israel for protecting themselves when attacked, and I am amazed that anyone would be so harsh toward Israel when civilians are hurt in Gaza because Hamas is using civilians, including children, as human shields. As I am sure you know, Israel has agreed to a cease-fire, but Hamas has refused. My point is not to make a political statement, but rather it is to point out that once again, God is right. Israel is gradually losing the global support, even the support of American leadership. When this attack does happen sometime in the future, that is the attack of Russia and the other five nations, there will be no allies to stand with Israel. Just watch as the world continues to back away from Israel, and know that this is but one more sign of the coming end of the age. What do we do? Well, first of all, pray for Israel and pray for our nation’s leadership. Anyone who sides with Israel’s enemies are on the wrong side. 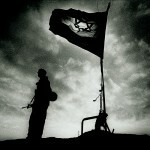 Remember that Israel is the apple of God’s eye. Our nation’s leaders need to beware. Secondly, prepare for growing spiritual warfare. 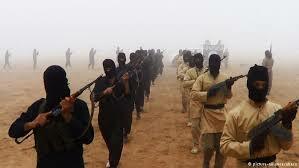 As the return of Christ draws closer, spiritual conflict will intensify. This is actually the topic for my new book that I hope to have out sometime in the near future: Immovable: Standing Firm in the Last Days. Thirdly, look for the opportunities that will be abundant during the days of difficulty. There will be many opportunities to share your faith and serve others in Jesus’ name. Fourthly, study the Word of God as never before. Great deception will spread in the days ahead, and we must know the truth of God. Finally pray. I know I said that first, but Paul reminds us in Ephesians 6:18-20 to pray all the time in all ways for the conflict is too challenging for us to engage the enemy of our souls alone. One final thing I didn’t mention. Get ready by making sure of your relationship with Christ. Are you truly saved? If you died today, are you certain that you would spend eternity in heaven? If not, why not right now tell Jesus that you surrender your life to Him? Confess your sin to Christ, and tell him that you give your life to follow Him. Jesus is coming again. The prophecies in the Bible will come to pass. Are you ready? 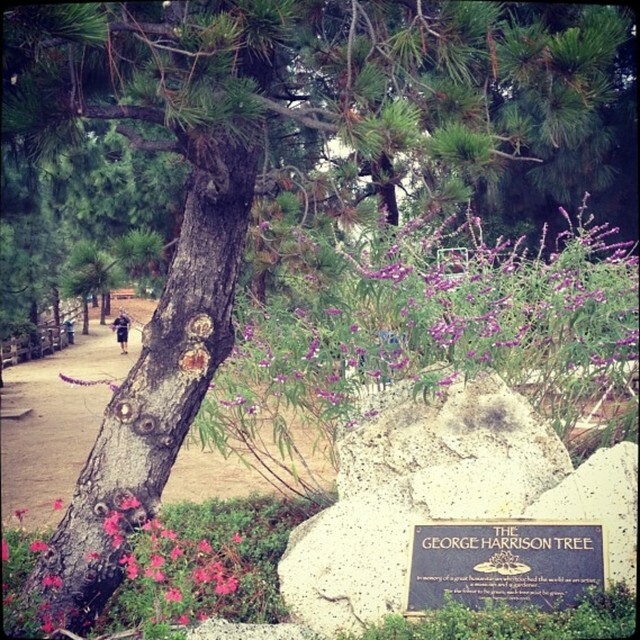 The most interesting headline of the day is, “Beetles Kill George Harrison Memorial Tree.” The pine tree that was planted in memory of the former Beatles star, George Harrison, in Griffith Park, was killed by pine beetles. The irony is not lost on anyone, and the story made me think of the truth with which we all live: we are our own worst enemies. I know the illustration breaks down a little, but it does make me reflect upon the fact that in many circumstances, I am hurting myself with attitude choices, lack of personal discipline, and choosing to, sometimes, live a life out of balance. What do we do to stop the attack before we too are destroyed? First, we must acknowledge that we are hurting ourselves and be specific with the lifestyle choices we are making that cause us personal damage. Most of the time, we do not get past this step because we are not willing or able to be fully honest with ourselves. Can you admit that a particular habit is really harmful? Can you acknowledge that you cannot overcome your addiction without outside help? Will you agree that your eating habits are killing you? This step of admitting should also include admitting our failure to God. Repentance is a critical part of the change we want to experience. Admitting our failures and frailties is an important part of the process to healing and personal victory. The second thing we must do is replace the harmful activity with something that is helpful or God-honoring. I remember when I was a child that I was having a hard time getting an ugly thought out of my mind. My mother told me to replace it with something that is good. I think this is the message of Philippians 4:8: “Finally, brothers, whatever is true, whatever is noble, whatever is right, whatever is pure, whatever is lovely, whatever is admirable—if anything is excellent or praiseworthy—think about such things.” If we are going to follow this admonition, then it means there are some things we should choose not to dwell upon. Thinking about things is not our only downfall. We need to also change our actions. If I am eating foods that are harmful, then I need to make a conscious choice to change my eating habits. If I have a habit that is hurting me spiritually, emotionally, or physically, I must replace it with something that is helpful and wholesome. A third thing that will help us is accountability. Sometimes we find the strength we need to chart a new course by simply telling someone else of the changes we are going to make. That resolve can be strengthened even more when our friend or family member asks us about our commitment over the next days and weeks. This is part of the strength of real community. We actually share our strength with someone else by holding them accountable to the commitments made. Are you attacking yourself? Now is the time to stop. While other steps can be added to give you victory, these three will certainly put you on the road to a new you. Second chances. I’m a big fan of the mulligan in golf, the “do over” in front yard football, and the “undo” button on my word processor. I’ve always liked having a second chance. There are some things in life where second chances are not an option. For example, once a first impression is made, there are no do overs. Once you hit send on an e-mail, you do not have a second chance at expressing your heart about a matter in that e-mail. God, however, is the God of the second chance. 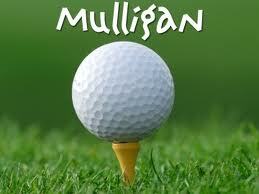 Grace by definition allows do overs and mulligans in life. God’s grace does not excuse sin or make rebellion insignificant, and it doesn’t remove the consequences of our sin. It does offer us a chance to start fresh through forgiveness giving us the opportunity for a different outcome. While God offers second chances, it does require repentance in our lives. The word “repent” means “to turn around.” When we repent of our sin, we are not only sorry for doing something wrong, but we also turn and go in a different direction. King David expressed repentance in his prayer he penned in Psalm 51. I encourage you to read the whole Psalm, but consider the first three verses: “Be gracious to me, O God, according to Your lovingkindness; according to the greatness of Your compassion blot out my transgressions. Wash me thoroughly from my iniquity and cleanse me from my sin. For I know my transgressions, and my sin is ever before me.” While this passage does not mention his specific sin, he obviously had something on his mind and knew that God was fully aware of his transgression. He prayed the prayer indicating that grace was an option and compassion was offered. He knew that cleansing was a possibility even though his sin was hideous and shameful. Even though David knew that he had blown it, he also knew that God was compassionate and gracious. He knew God offered second chances, and David was imploring God for such an opportunity. I think it’s best David doesn’t mention his specific sin, even though scholars believe it was his sin with Bathsheba. The reason it’s best is because we can fill in the blank with our own transgressions. All of our sin is shameful leading to the sacrifice of our Savior on the cross. As we move toward our 4th of July celebration, I am mindful of the condition in our country and believe strongly that we are weaker nationally today because the Church is weaker spiritually. It is time for believers to pull out Psalm 51 and cry out to the Lord for forgiveness. God is merciful and compassionate. I have experienced God’s grace so many times in my life that I cannot count it. Second chances are God’s specialty. Are Tornadoes A Sign of the End Times? Matthew 24:7-8 says, “For nation will rise against nation, and kingdom against kingdom, and in various places there will be famines and earthquakes. But all these things are merely the beginning of birth pangs.” Jesus predicted that not only wars would increase as time was drawing to an end, but also there would be great natural disasters: famines and earthquakes. The word “earthquake” comes from the Greek word seismos. We get our English word seismology (the study of earthquakes) from this word. It is interesting to note that the same Greek word that is translated earthquake in Matthew 24 is used in Matthew 8:24 where the New American Standard Version of the New Testament translates it as “a great storm.” While the word can certainly be translated as earthquake, I think there is a broader concept that can be applied that involves a meteorological disturbance. I believe Jesus was pointing to changes in the weather and an increase in all types of storms. These disturbances will be a sign, and Jesus said it is the beginning of birth pains. 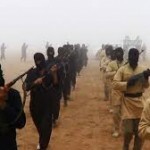 This means that they will grow in intensity as Christ’s return draws ever closer. The Tribulation Period will be filled with horrific events, but I believe that even before the Great Tribulation starts, the birth pains will continue to grow ever more pronounced. What does this mean for us? We can anticipate disasters to be on the rise and tornadoes and earthquakes to be commonplace. Jesus is giving us warnings, and He is calling us to be on the alert. This means we should be actively sharing our faith, following His Word, and living by faith. Not only must we face such disasters with faith and not fear, but we must comfort one another with the reality that Jesus is coming again. What are your thoughts? Do you think tornadoes have been on the increase? Reply below and share this blog with your friends on Facebook and Twitter. I am a fan of Wendy’s and consider one of the corners of the restaurant near my church to be my office annex. Recently, Wendy’s began a program offering cashless purchases, and it made me think about what seems to be a concerted move in our country toward a cashless society. The New York Times recently reported that banks and retailers are trying to develop new payment systems using cell phones, and they’re working on ways to protect customers’ personal information. Wendy’s is just one of many merchants seeking new payment systems. What does this mean for us? While the convenience of a cashless society would seem to be desirable, there are several things that one needs to consider. The most obvious concern in our privacy driven society is the danger of your privacy being threatened. We’ve already seen the potential of this with the Target debacle, and this is just the tip of the iceberg. Hackers will forever be finding new ways to tap into secure systems in an effort to steal identity and finances, but hackers are not my only concern. Our government seems to be working harder to gain access to our personal lives, and we cannot help but wonder where all of this infringement upon our privacy could land. We learned not long ago that the NSA is more involved in snooping upon U.S. citizens than we once realized, and those who have less trust of our government fear this breach of privacy has no end. I believe that in the last days, government will not always be our friend. The Bible does point to persecution of believers in the last days, and we are finding that government officials are gaining greater access to our personal lives than ever before. If a particular government became rogue or even not friendly toward Christians, our current technological advances will make it easier for the activities of Christians to be traced bringing about greater opportunity for persecution. I realize these words might make me sound like an alarmist. The Bible does point to greater persecution, and for that to happen in the U.S., it seems to me that it will need government sanction. Another thought about a cashless society is that it will make it that much easier for the mark of the beast to be administered to unsuspecting citizens. The Bible says in Revelation 13:16-17 that a mark on people’s foreheads or the back of the hands will be required for the purchase of basic goods: “And he causes all, the small and the great, and the rich and the poor, and the free men and the slaves, to be given a mark on their right hand or on their forehead, and he provides that no one will be able to buy or to sell, except the one who has the mark, either the name of the beast or the number of his name.” I think it is clear to see how this mark will be a natural by-product of a cashless society. Jesus told us to be on guard for the signs indicating we are in the last days. Stay alert. Things are happening that will ultimately lead to the return of Christ. Are you ready? Something is terribly wrong! I recently read of an unbelievable crime that took place last week in Waukesha, Wisconsin. This crime did not happen downtown in a large city like Atlanta or Chicago. Waukesha is a small town with a population of less than 9,000 people. This was not gang related or even connected to drugs. The crime involved an attempted murder on a twelve-year-old girl by two of her friends. The victim was stabbed nineteen times by her friends as the perpetrators sought to impress a fictional, ghoulish character on the internet who appears in horror stories. Both suspects had a fascination with stories about death and horror and planned this assault on their friend in an attempt to act out their fantasy. The Bible teaches that the last days will be a time of incredible lawlessness. 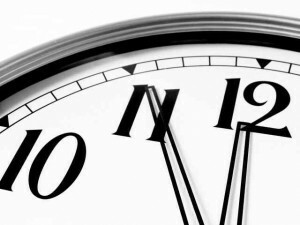 2 Thessalonians 2:3 says that this lawlessness must happen before the return of Christ: “Let no one in any way deceive you, for it will not come unless the apostasy comes first, and the man of lawlessness is revealed, the son of destruction.” While this passage is speaking specifically of a time called the Great Tribulation Period, we know that the days leading up to the beginning of this seven-year period will be times of great spiritual darkness. The “man of lawlessness” will be a chosen leader during the Tribulation Period, but I believe it also means that he will be alive and well before the Tribulation starts and before the Rapture of the Church takes place. I also believe that Satan is working to create an environment where the “man of lawlessness” will be accepted. This is happening now. The story of this attempted murder in Wisconsin sends chills down my back as it seems to be nothing less than demonic. Satan is working to lead people, and even children, to do the unthinkable. The darkness around us is growing as the stage is being set for a spiritual conflict unlike any conflict ever experienced in history. I have no doubt that the last days are upon us. Jesus told us to be alert and to be on watch. 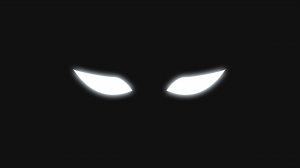 He is coming again. Let’s be diligent and faithful as we await His return. I think by reading these words, you can see that we must move into a time where Christianity becomes a small voice in society. Should we be surprised that principals are being threatened if they use God’s name in a graduation address? This is just a small step to lead to a Matthew 24 or 2 Timothy 3 kind of world. Jesus is coming again. I believe we are in the last days. The Church must stand strong and be obedient to God’s call. My family and I are beginning to work on writing a new book together entitled 31 Days to Parenting Success. In order to promote interest, I will be writing an additional blog on parenting at http://www.31daysworks.blogspot.com. I will work to post on this blog as regularly as possible and make you aware of updates on the other blog as well. I encourage you to join both blogs so update notices will come in your e-mail. I am going to do my best to post a blog on each site about three times a week. 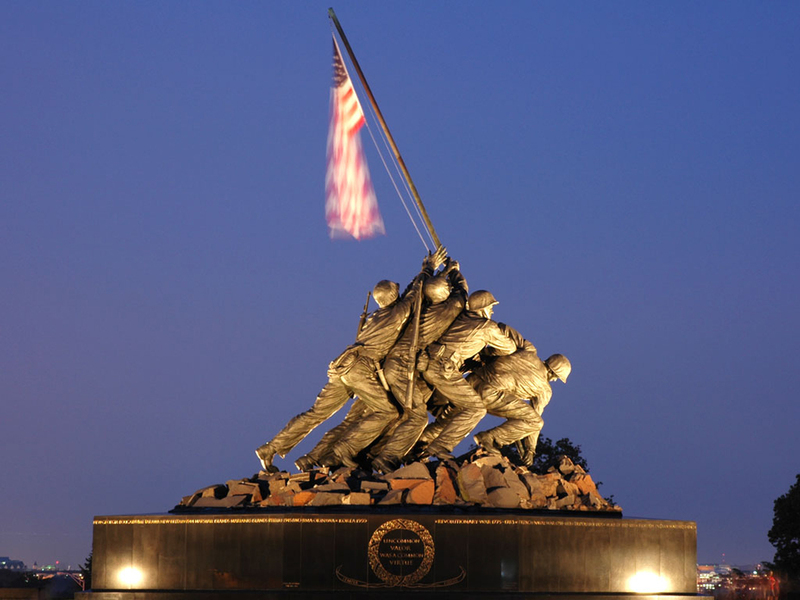 Memorial Day is a time to remember the incredible sacrifices made by men and women so we can enjoy the freedoms we have today. 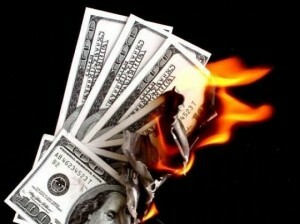 Even the freedom to write this blog, to publish books, and to enjoy worship yesterday has come at an incredible price. 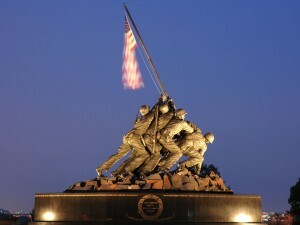 Thank you God for the sacrifices of men and women through the years so our country can remain free. I encourage you to spend some time with your family today talking about the price of freedom.